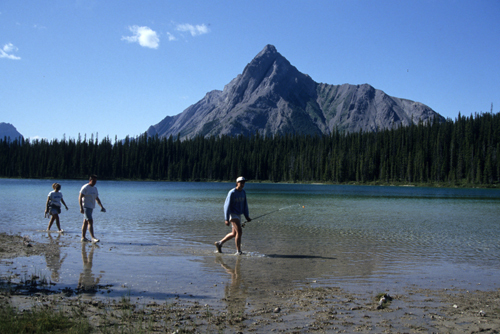 Watridge Lake, one of "the finest Cutthroat lakes in Alberta." It is usually combined with a steeper hike to one of "the largest karst springs in North America." 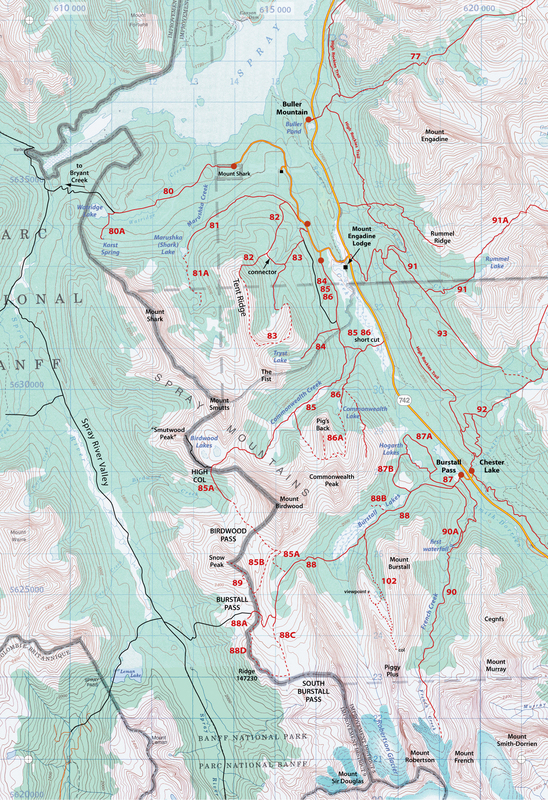 Difficulty: An easy walk on ski trails and logging roads through the Mount Shark X-C ski area. In winter the trail is groomed and trackset. It is also open to fat tire bikes.